By May 2018, a month after millions of Nicaraguans revolted against President Daniel Ortega, his regime’s collapse felt inevitable. For weeks, peaceful protesters had poured into the streets, demanding the 73-year-old’s resignation. Ortega, an aging guerrilla warrior and former president-turned-wealthy oligarch, seemed to be on the ropes. Protesters erected barricades across the country, paralyzing the national economy. 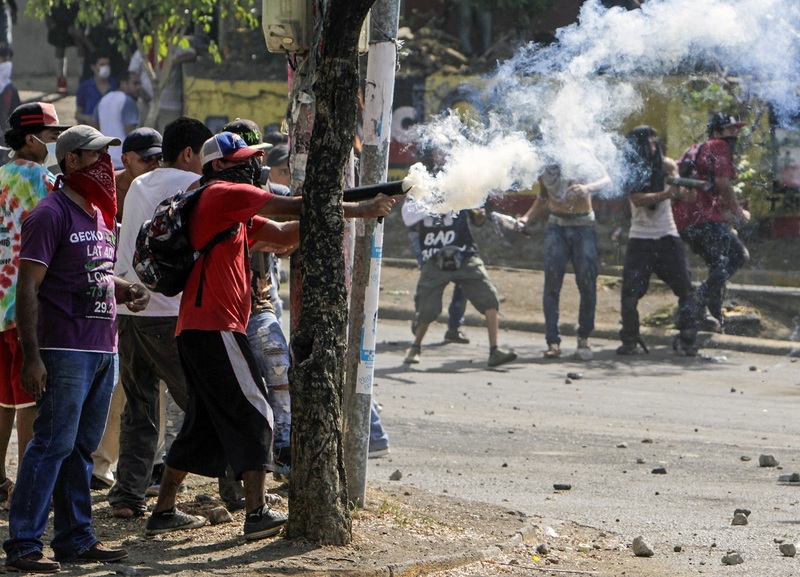 After the government began to repress demonstrators on April 19, 2018, civilians armed themselves with homemade weapons including Molotov cocktails. International observers, including myself, compared Nicaragua’s 2018 uprising to the Arab Spring revolutions of 2010 and 2011, which culminated in massive protests in Tunisia, Libya, Egypt, Yemen, Syria, and Bahrain. While Ortega maintained a loyal base of supporters with ties to the government’s revolutionary beginnings, more and more young Nicaraguans from all walks of life appeared committed to his exit. A month after the movement began, Ortega’s approval ratings had fallen to 19 percent, and an overwhelming 70 percent of Nicaraguans felt he should resign. And yet, nearly one year later, Ortega is still in power, and Alemán is living in exile, along with over 50,000 other Nicaraguans. With the exception of a recent flare-up in protests, which the government outlawed in September 2018, Nicaragua’s tropical spring appears to be losing steam. I am a Latin American scholar who lived in Nicaragua in 2017 and 2018. When I eventually fled with my family in June 2018, I felt fairly certain that Ortega’s days were numbered. And in a democratic society, they probably would have been. After closely analyzing data on the fates of democratically elected presidents in Latin America following massive protests, I found that since 1985 70 percent of executives who faced sustained street demonstrations were ultimately removed from office. But Ortega has overcome these odds, and in large part, he has done so by reverting to the same types of strong-arm tactics that he fought against in the 1970s. Since taking office in 2007, Ortega has concentrated power in the executive branch by stacking the supreme court with party loyalists, putting allies in charge of the electoral system, and controlling the press. In 2014, the Nicaraguan assembly abolished presidential term limits. Two years later, although less than 30 percent of Nicaraguans turned out to vote, Ortega won a third consecutive term as president. And this time, his wife Rosario Murillo ran with him as vice-president. Unlike more democratic leaders in the region who have historically bent to the will of the people, Ortega has maintained his grip on power through the use of authoritative force. Over the last 11 months, Nicaragua’s popular uprising has been violently repressed by state security forces and pro-government paramilitaries. Dissidents have been tortured, arbitrarily detained, illegally imprisoned, and forced into exile. Currently, 677 protesters are in jail. Another 107 were arrested on March 16 at an anti-government protest in the capital Managua, serving as a reminder to dissident voices that Ortega remains in firm control of the nation. Still, despite Ortega’s authoritative tendencies, I sense that his strength as a leader stems from a less obvious source. 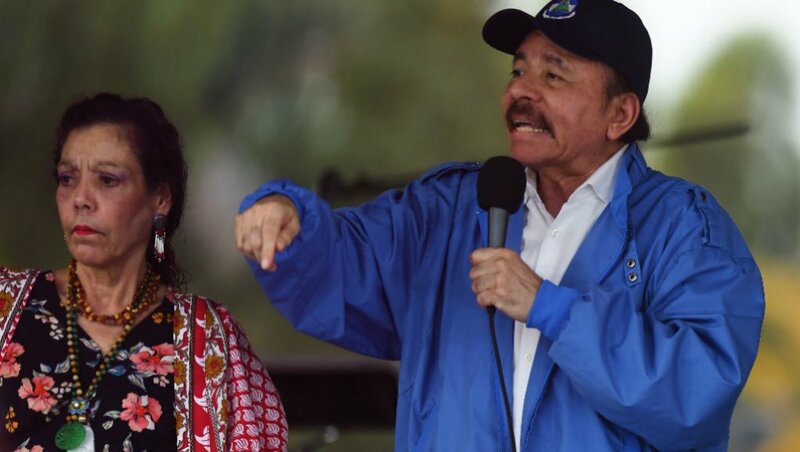 Jose Daniel Ortega Saavedra – known popularly as Comandante Daniel – has spent four decades shaping the Nicaraguan state. During this time, Ortega has drifted from a left-leaning guerrilla fighter to a conservative oligarch with clientelistic social programs. Despite Ortega’s rather surreal transformation over the years, his political platform has maintained one common thread: its anti-imperialist rhetoric. In fact, nothing has served Ortega’s cause more favorably than a deep history of U.S. intervention. Since 1823, when U.S. President James Monroe declared the region America’s backyard, the United States has played a fundamental role in shaping Latin American politics. The United States’ policy has relied on a combination of military intervention and economic sanctions. Few countries have been as deeply affected by U.S. policy as Nicaragua. The United States’ Marines occupied Nicaragua from 1912 until 1933. After that, they handed the country over to U.S.-trained general Anastasio Somoza Garcia. Somoza and his sons ruled the country with an iron fist until Ortega and the Sandinistas overthrew them in 1979. In the 1980s, the U.S. funded a band of counter-revolutionaries or “Contras,” who waged a brutal war against the country’s nascent revolutionary government. The conflict resulted in the death of 30,000 Nicaraguans. In 1982, U.S. Congress voted 411-0 for the Boland Amendment which defunded support for the Contras. Nonetheless, high ranking members in Ronald Reagan’s administration continued to fund the Contras illegally by selling missiles to Iran and funneling the proceeds to the Contras. When the scheme hit the light of day, it became known as the Iran-Contra scandal. In 1992, Attorney General William Barr helped secure pardons for a handful of top American officials involved in the Iran-Contra scandal, including Elliot Abrams. Today, Barr serves as President Donald J. Trump’s Attorney General, and Abrams heads the administration’s special envoy to Venezuela. 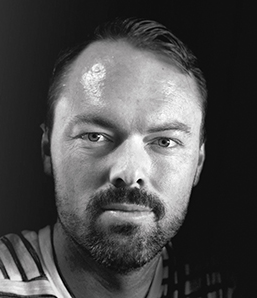 The latter is also in close contact with the leaders of Nicaragua’s Alianza Civica, a civil society alliance that promotes justice and democracy in the country. Ultimately, Ortega and the Sandinistas were voted out of power in 1990, but the election was less a referendum on Ortega, who remained widely popular with his base, as much as it was a vote to end the U.S.-supported war. And in November 2006, Ortega and his Sandinista party did just that. Since returning to power in 2007, Ortega has masterfully embraced big business while deriding U.S. policy for intervening in the foreign affairs of other countries. In doing so, he has been able to appeal to conservative elites as well as his working-class base. But when things began to unravel last April, Ortega immediately reverted to an anti-imperialist rhetoric that was reminiscent of his speeches in the 1980s. The United States’ history of opposing left-wing leaders in Latin America – including through military intervention – has provided Ortega with a convenient enemy to blame for last year’s uprising. And while the U.S. government has not intervened militarily in Nicaragua since they supported the Contras in the 1980s, the world’s most powerful nation is hardly a neutral player in the current conflict. 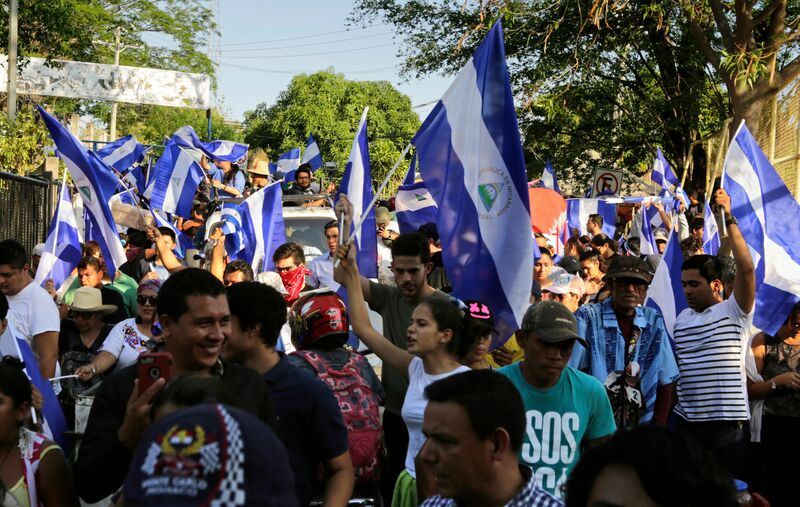 Over the last decade, the U.S. has made significant investments in supporting Nicaragua’s nascent civil society, which has foddered Ortega’s decries against the United States. However, in practice, the organization has been accused of fomenting dissent against governments unfriendly to the United States. In 2015, Nicaragua’s largest ally, Russia, banned NED following accusations that the organization was meddling in the country’s internal affairs. Cuba and Venezuela have made similar claims. Despite NED’s silence, there’s currently no hard evidence that suggests that the U.S. has played an active role in funding the uprising against Ortega. Despite this, the United States’ support of civil society through NED and the United States Agency for International Development, coupled with U.S. sanctions against his government, has allowed Ortega to shore up support by shifting attention away from his administration’s use of corruption, clientelism, and cronyism. And over the last 12 months, a history of U.S. intervention in Nicaragua has facilitated Ortega’s ability to repress his own people while placing blame on American imperialism. And as research shows, Ortega is not the only leader to spin U.S. intervention in his favor while violently repressing his people. These findings are tied to the fact that U.S. intervention typically legitimizes anti-imperialist rhetoric, and in doing so, in countries like Nicaragua, facilitates the ability of authoritative rulers to rally people against a common enemy. And as this case also reveals, intervention appears to have a residual effect such that leaders like Ortega are able to benefit from anti-imperialist rhetoric well after the intervention itself actually takes place. Jaime De Vega is a Nicaraguan lawyer in his early 30s, who I got to know well while living in Managua. Jaime grew up in a working-class family in Ciudad Darió, an agricultural community an hour north of the capital. Despite being a long-time Sandinista, he participated in the initial uprisings last April and aided student activists at Nicaragua’s Polytechnic University. However, shortly after the uprising, Jaime withdrew his support for the protesters. While Jaime and Jorge’s comments hardly speak for all Nicaraguans, they summarize the general sentiments of Ortega’s supporters quite well. At the root of Ortega’s base is a firm conviction that he has done more for the poor than U.S.-supported candidates from the right have. For them, he is the lesser of two evils. The case of Nicaragua signals a need for new international strategies to bolster democracy abroad. U.S. policy in Latin America has long relied on a combination of sticks and carrots to cajole leaders into towing a pro-U.S. line. 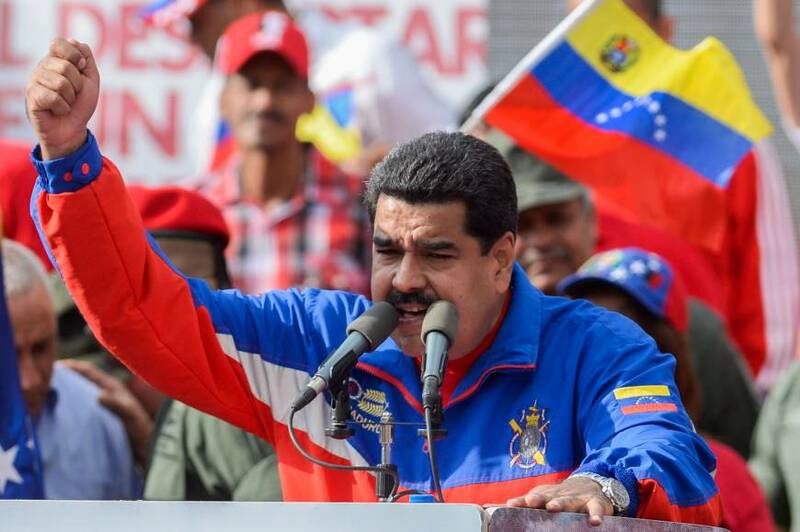 However, the political longevity of leaders like Ortega in Nicaragua, Nicolas Maduro in Venezuela, and Evo Morales in Bolivia demonstrates the shortcomings of these policies. If the U.S. is genuinely interested in supporting democratic growth in the region, and brilliant young activists like Jeancarlo López and Lesther Alemán, more of the same won’t suffice.